Slightly less jetlagged than before, we planned our next day around visiting both the Australian Museum and the Royal Botanic Gardens. There's something about a lush garden that lures my family in, so the infamous Royal Botanic Gardens was high on our list - and we're very glad we did! Located on the waterfront, the gardens are stunning. Filled with beautifully landscaped gardens and water features, you could easily spend the entire day here! We passed through it, making our way towards Mrs Maacquarie's Chair which is yet another viewpoint over the Opera House and Harbour Bridge. The gardens, like The Rocks, were rich in wildlife as aside from the common ibis, there were cockatoos that regularly flew above us! As it was Summer, we didn't spend too long sitting around for fear of sunstroke, but I'd highly recommend seeing the Succulent garden! If you have time on your hands, I'd suggest bringing your lunch and sitting on one of the many lawns that overlooked the harbour - there's really no better way to eat your lunch than that! Museums are always high on our list of things to do, so it was no surprise that we'd end up at the Australian Museum. 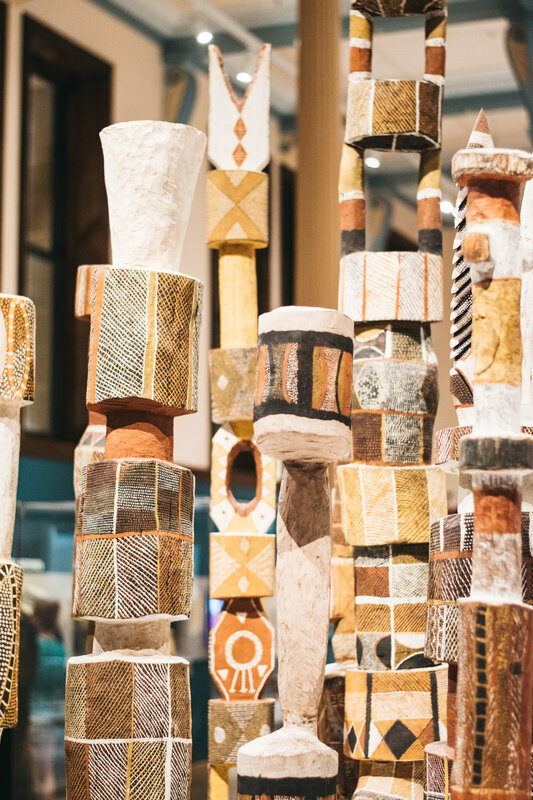 Located only 10 minutes walk from Town Hall station, the Australian Museum features numerous exhibits on Australian natural history from dinosaurs to wildlife to Aboriginal history and Islander beliefs. This was amazing to visit as we have very little historical knowledge of Australia - especially with its Aboriginal past. 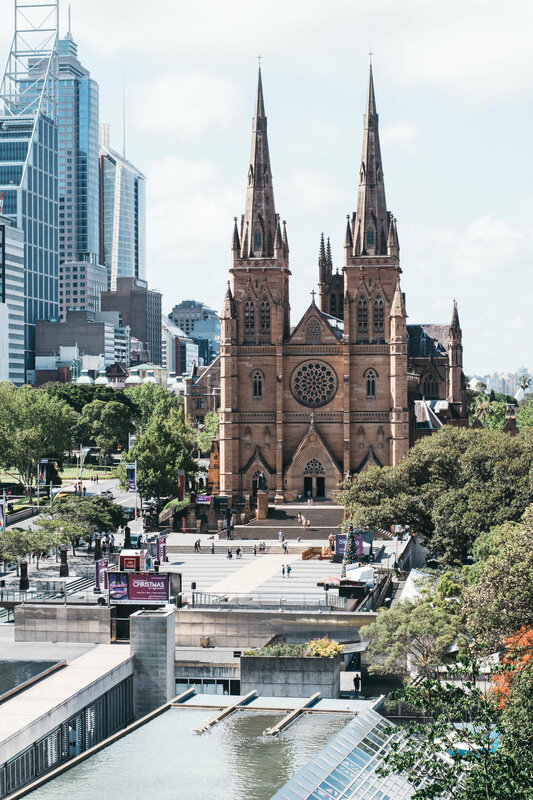 After exploring half of the museum, we stopped off at their fourth-floor cafe, No1 William, which provided an amazing panoramic view of St Mary's Cathedral and the city. It definitely helped how aesthetically pleading the cafe was as well! If you're planning to visit the museum, I'd suggest allowing about 2 hours. Have you been to any of these places? Have you been to Sydney?